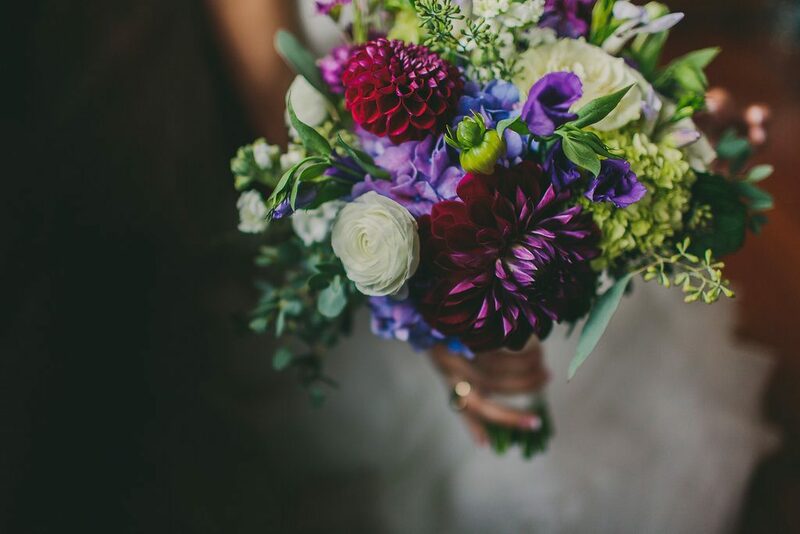 Lindsay’s Bouquet was stunning! Full of purple Hydrangea, dahlias, lisianthus, freesia, roses, ranunculus, stock and seeded eucalyptus. 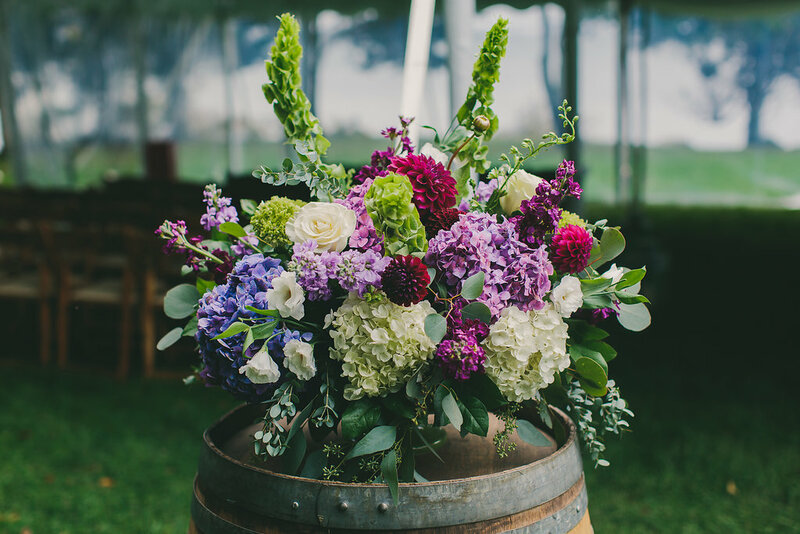 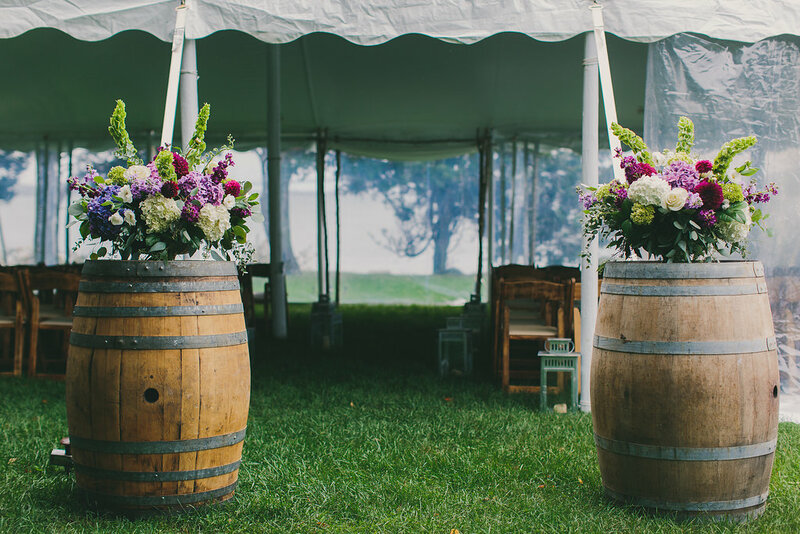 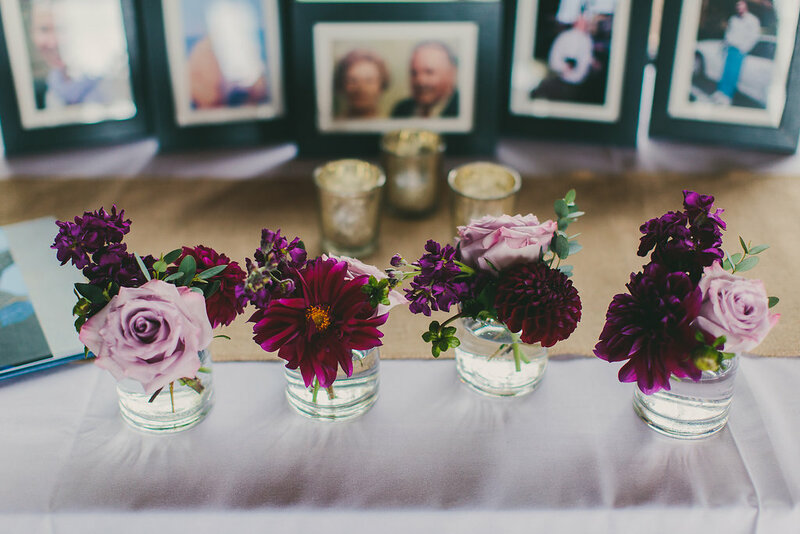 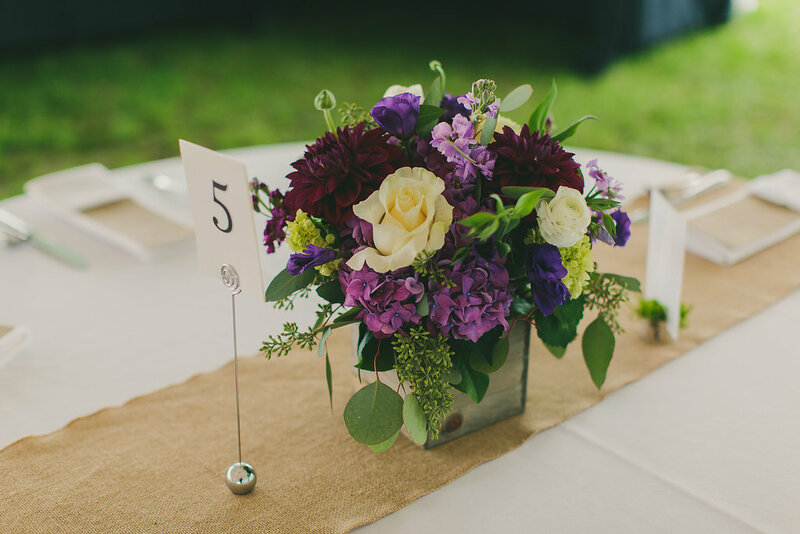 Their centerpieces were designed in wooden boxes, a perfect fit for Mount Hope Farm. 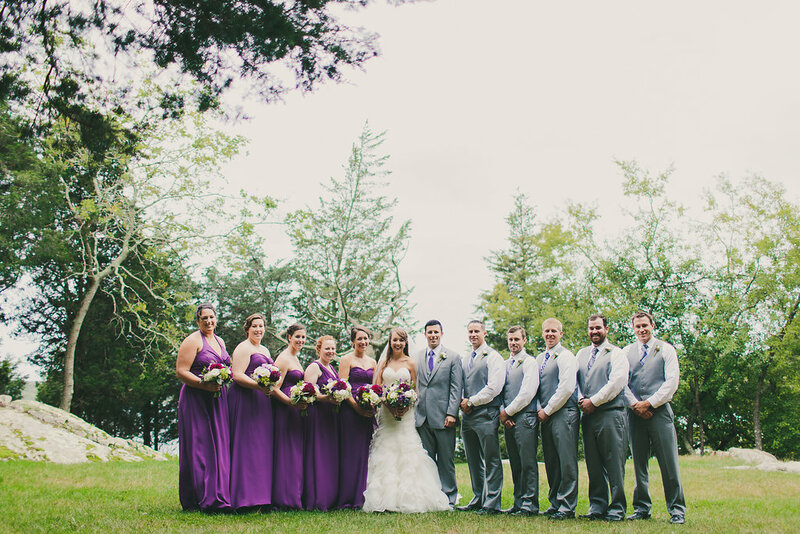 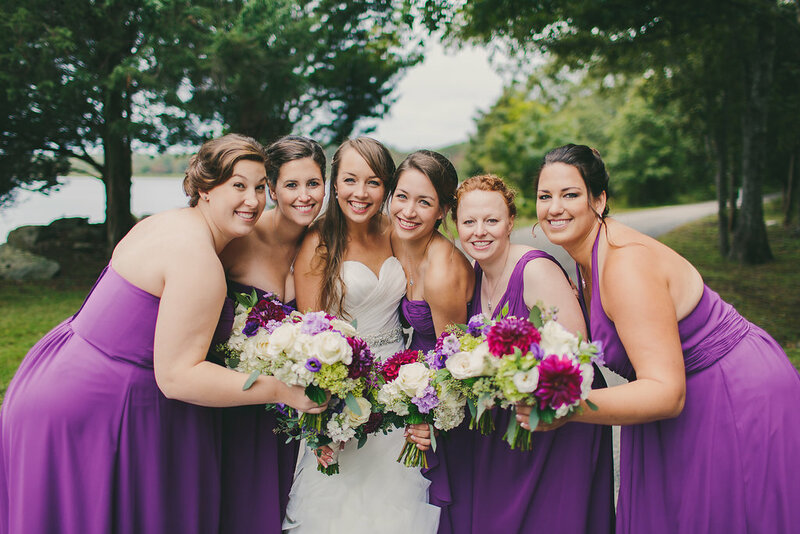 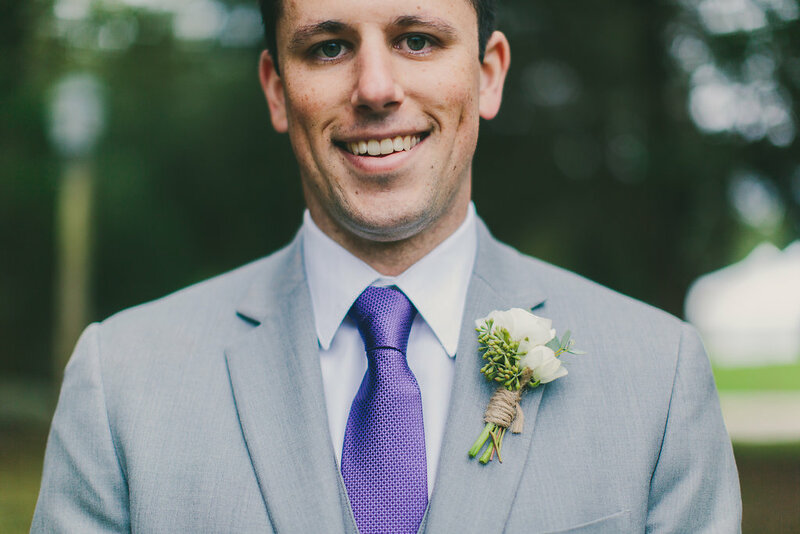 Her elegant color pallet of plum, purples, green and cream was a nice alternative to the standard fall look…We wish Lindsay and Garrett much happiness! 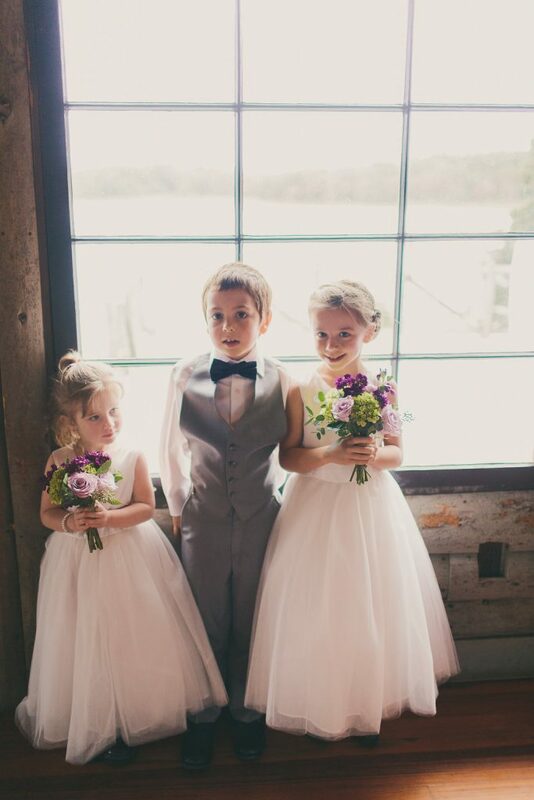 Their Photographer, Lindsey Gomes, did and excellent job capturing their special day. 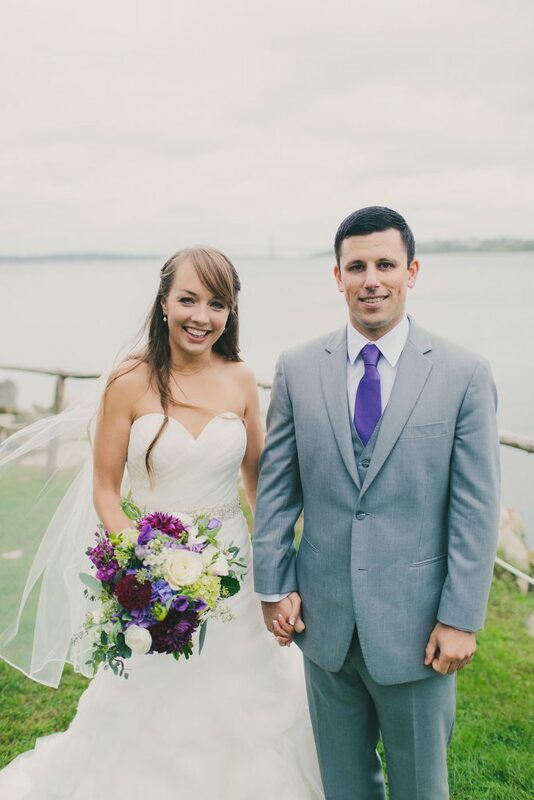 You can find her at www.lindseygomes.com.